Glass break detectors are security devices that respond to the sound of breaking glass. They are excellent for alerting users to a break-in through a window or to property damage that involves broken glass. 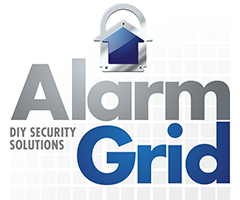 Take a look at the great selection of glass break detectors available on the Alarm Grid site. Many home break-ins occur through a window. However, it is likely that the intruder will not politely open up the window and activate the window sensor. Instead, they will probably shatter the window and enter through the broken glass. If they manage to avoid setting off any motion sensors or door contacts, they will most likely prevent your security system from responding, and they will have a good chance of making a clean escape. Fortunately, you can prevent this horrifying situation from happening by installing glass break detectors near the windows inside your home. A glass break detector is programmed to a zone on a security system. It activates when it detects the sound of breaking glass. Once the device has been triggered, it will respond depending upon it has been set up with the security panel. Many users will have a faulted glass break detector activate a siren on their security system to scare off any intruders that are present. Other users prefer to take no chances, and they have a signal sent to a central station for immediate police dispatch as soon as the device is triggered. How you set up your glass break detector depends on your needs, and our support team is happy to walk any monitored customer through the process. If your panel has been set up with an interactive service such as Total Connect or Alarm.com, you can use the corresponding mobile app to receive immediate alerts about an activated glass break detector. Should your glass break detector ever be triggered, a notification will be sent to your phone to alert you of the trouble. This can be very useful for monitoring your home while you are away. If you have multiple glass break detectors in your home, you will even be alerted as to which device was activated so that you can know exactly where the trouble occurred. In order to prevent false alarms, most glass break detectors need to hear the “thud” of an object striking against glass along with the actual shattering of glass before they will activate. The devices will only respond to very specific frequencies that can only be made by breaking glass due to an object striking against the glass structure. Many sounds might be similar to shattering glass, but they will not cause a glass break detector to activate and sound an alarm. The companies that make these devices have tested their products very thoroughly to ensure that they work very effectively, while also not creating any unnecessary and costly false alarms. In addition to monitoring windows, glass break detectors can also be used to monitor glass casing and keep the items inside protected. This makes glass break detectors very popular for stores or jewelers who want to ensure that their products remain protected. Homeowners also regularly use glass break detectors in this way, often to protect important and valuable structures like trophy cases or display cases. Overall, glass break detectors are excellent for immediately alerting you about any property damage that has occurred. How Do I Clear a Glass Break Fault on a Honeywell L7000? When Should I Use Shock Sensors vs Glass Break Detectors? How Do I Enable the Built-In Glass Break Zone for the IQ Panel 2?